Earrings made out of Melissa Etheridge’s donated/played silver colored guitar strings, by jeweler and 2x breast cancer survivor Elisa Guida. Circles are app. 1 1/4″ for a total earring length of app. 1 7/8″. 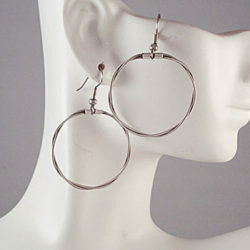 Earrings are on surgical steel French ear wires. 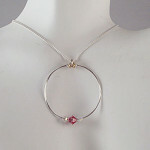 Earrings are made to order and takes approximately 4-5 weeks to complete.These pieces are hand made and vary slightly. 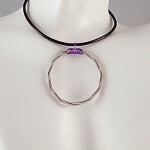 String thickness will also vary. 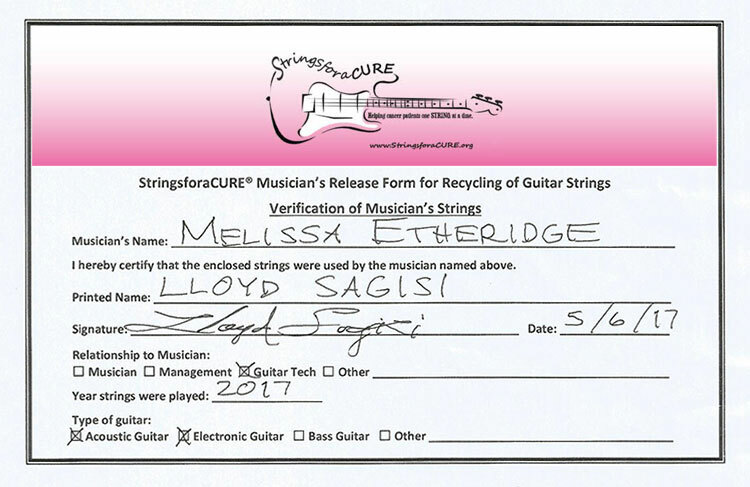 Email elisa@stringsforacure.org if you would like Melissa’s gold colored strings.